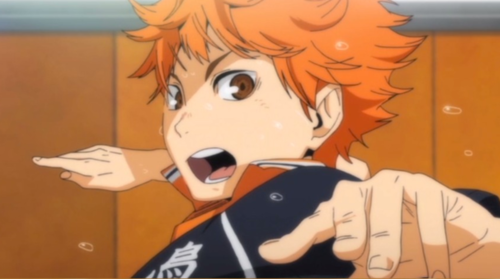 HOUSTON– Get set for the next volley as fierce rivals take their fight to the courts in Sentai Filmworks’ latest acquisition, HAIKYUU!!. This high speed slice of life sports series from original creator Haruichi Furudate is directed by Susumu Mitsunaka (Cuticle Detective Inaba, Bunny Drop) with series composition by Taku Kishimoto (Silver Spoon, Tales from Earthsea), character designs by Takahiro Kishida (BTOOOM!, Puella Magi Madoka Magica) and animation production by Production I.G (Ghost Hound, Kuroko’s Basketball). Shoyo Hinata may be a small guy, but he’s got big ambitions. Ever since he saw a short-statured volleyball pro dominate the scoreboards in the National Championship, he’s been determined to become the next big thing in High School Volleyball. Unfortunately, he’s barely played the game. The only time he was able to assemble enough players to form a team was in junior high, when the team suffered a crushing defeat in their first and only match against a team lead by up-and-coming setter Tobio Kageyama. Now, as his first year of high school begins, Shoyo’s finally getting the chance to join a real club and play with a real team. There’s just one problem: Tobio Kageyama’s decided to attend the same school, and he’s established a reputation as being one of the best players in the game. Can this small fry hold his own against the King of the Court? Or could the rivalry and competition actually be the best thing for both of them? Get ready for a knock down, throw down, ultimate show down barrage of volleys, spikes, and blocks as Shoyo leaps for the glory and Kageyama aims for the stars in HAIKYUU!! HAIKYUU!! will be available soon through select digital outlets with a home video release to follow.